The book by Aneta Bogdan was published in 2018, in English. 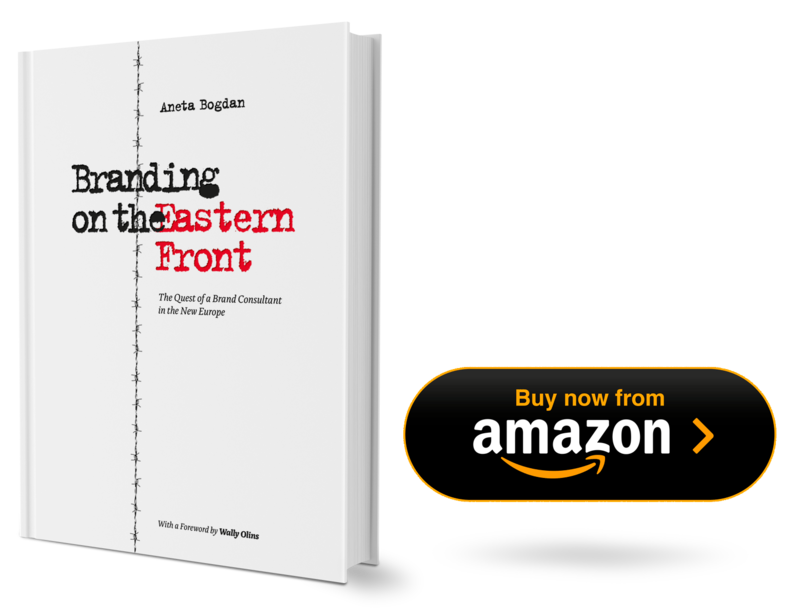 Branding on the Eastern Front is a keen practitioner’s candid account of the assimilation and development of brands and branding in post-communist Eastern Europe. When more than a hundred million people parted with the dark, gloomy epoch of communism in 1989, new horizons were suddenly opened by a bright new world of capitalism and freedom; within this novel setup, brands and branding alike helped negotiate the transition towards the endless choices of consumerism and the sometimes deceptive lights of the free market. Ultimately, Branding on the Eastern Front is both a testimony of how Western-born approaches must adapt to developing economies, as well as a crash course in branding for anyone with the slightest interest in the Eastern, emerging parts of the world — be they entrepreneurs, marketers, or contemporary consumers of any kind. The Brand Consultant is a new occupation in this emerging world, and Aneta Bogdan has been a pioneer in times when the existing Western principles of branding were being tried and tested on new grounds. The book is a premier Eastern view on the debate around the transformative power of branding, including relevant case studies, and an insight into the emergent corporate and entrepreneurial milieus. The author is never average: Aneta Bogdan is cynical and idealistic, authoritarian and inspiring altogether — a fresh, unconventional storyteller with a passionate and speculative discourse. Buy it now from Amazon.co.uk.